Kevin Yuan currently works as a Coordinator for International Relations in Taki Town, Mie Prefecture, Japan. He graduated from Georgetown University in May 2018 with a double major in Economics and Japanese, and served as a Communications and Education Intern for Sasakawa USA from January-May 2018. His past experiences in U.S.-Japan relations include participating in the U.S. High School Diplomats program, the National Cherry Blossom Festival’s Goodwill Ambassador Program, the Waseda University Global Leadership Fellows Program, and the U.S. Department of State’s Critical Language Scholarship Program. During my Senior Convocation a mere two days before graduating college, I received an email that kept me up that night. I had accepted a position as a Coordinator for International Relations through the JET Program, and I had been awaiting notice of where in Japan I would spend, at the very least, the next year of my life. The moment the email subject with the words “JET” and “Placement” popped up as a notification on my phone, I tried anxiously to access the message, but was frustrated by the slow 3G speeds within the enclosed gymnasium. Finally, the email loaded and read: Taki-cho, Mie-ken, my placement for JET. Relying on my roommate’s phone, I looked up the location and images of the town. I scrolled through pictures of the typical Japanese countryside, causing new questions to enter my head. Will I feel fulfilled there? 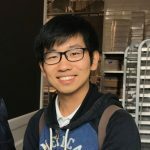 Will I really be able to make use of my skills?With these questions in mind, I began to learn more about my position’s specific tasks over the following months. One of them stuck out to me in particular—I’d be participating in a sister cities delegation made up of 20 middle school students and five town chaperones to Camas, Washington, in October, less than two months after my arrival in Taki. The relationship between Taki, Mie, and Camas, Washington, originated from an industrial link. In 1995, the Sharp Corporation, which operated facilities in both Taki and Camas, sought and succeeded in establishing a connection between the cities. From then on, the sister city relationship blossomed and has continued for longer than I’ve been alive. The 2018 trip marked the 15th delegation of middle school students, and the 21st delegation overall from Taki to Camas, on top of more than a dozen past delegations from Camas to Taki. Although Sharp no longer operates in Camas, the bonds that have been forged thanks to the initial industrial connection have continued to strengthen over the years. 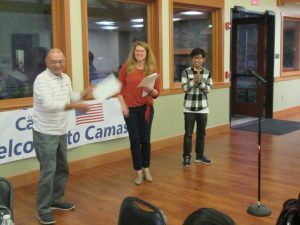 During a special 20th anniversary of the sister city relationship in 2015, a delegation from Camas visited Taki, and the mayors of both cities planted a tree outside the town library that continues to grow as a symbol of friendship. Joining the sister cities trip excited me for two reasons. First, during my time as an intern at Sasakawa USA, I attended a fascinating talk on the topic of U.S.-Japan sister city relations given by Grace Ruch Clegg (whose report on sister cities can be accessed here), and I felt eager to contribute to an international municipal-level exchange. Second, my own interest in U.S.-Japan relations was spurred by an international exchange I participated in when I was still a student. The 2013 U.S. High School Diplomats program allowed me to travel to Japan for the first time and meet Japanese high school students, and motivated me to pursue further studies and opportunities in U.S.-Japan relations. Now, the chance to help organizean international exchange made me excited to see how the trip would impact the students of Taki, many of whom had no prior overseas experience. With the long history of the sister city relationship in mind, I was inspired to work to further strengthen the ties of friendship between the cities. After coordinating schedules with the Camas Sister City Organization and running language and culture workshops to prepare students for the exchange, I felt a mix of confidence, excitement, and anxiousness as the date of departure drew near. 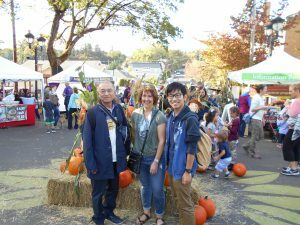 Following a relatively comfortable flight, I stepped out of the airport and spent a few minutes enjoying the brisk autumn Pacific Northwest weather, welcoming the drastic change from the hot and humid summer in Japan. Once we arrived in Camas, the students met and left with their host families. They seemed a bit hesitant and reserved at first, which was a feeling I could empathize with as I had previously lived with two different host families. My host family on this particular exchange took me and a few other chaperones to visit an outdoor farmer’s market before heading to a restaurant to have a large, delicious dish of nachos. The next few days were exhausting but truly fulfilling, packed with visits to local schools, the city hall, and nearby attractions. I juggled duties of interpreting between Japanese and English, coordinating logistics between both sides as the point of contact for the delegation, and representing Taki, all while enjoying a new side of the United States I hadn’t experienced much of before. Although some parts of the trip were stressful for me (such as a sudden request to interpret a park ranger’s explanation about the geology of the Columbia River into Japanese), I felt that the trip was an overall success, serving as a valuable experience both for the students as a chance to engage with and form friendships with American students, and for me as a professional opportunity to use my skills and contribute to the long-standing sister city relationship. I saw reflections of my past self in the students throughout the trip, many of whom seemed to be overwhelmed, yet excited and curious to learn as much as they could in a place far from home. I hope the exchange sparked something in them the same way my student exchanges did for me. By the end of the visit, they were hugging and saying farewell to their host families as if they’d known each other for years. Although the exchange itself lasted less than a week, I have faith that the bonds they formed will persist for much longer; some students appeared overjoyed to reunite with Camas residents whom they hosted in Japan over a year prior. 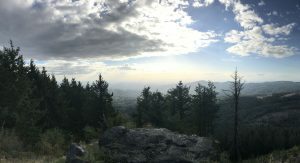 As my attention turns to preparing for welcoming a delegation from Camas to Taki in June, I’m constantly reminded of the significance of person-to-person exchanges for creating a more interconnected world. The Camas-Taki sister city relationship is just one of many across the globe, but I am grateful to be able to contribute to its success and see its positive impact on individuals in both cities.